Honolulu – Gov. 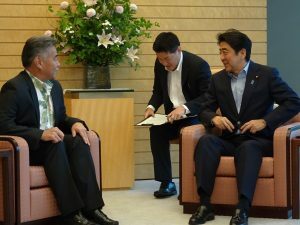 David Ige met with Japan Prime Minister Shinzo Abe on Monday, June 15 (Tuesday, June 16 in Japan), his first day of meetings in Tokyo, Japan. Gov. 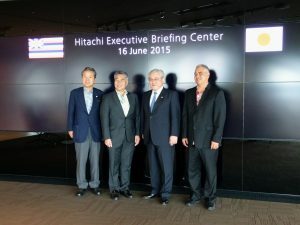 Ige and Chief of Staff Mike McCartney also met with executives at Hitachi Ltd., IBM Japan and Amuse, Inc., a Japanese management, production and publication company. On Tuesday, June 16 (Wednesday, June 17 in Japan), Gov. Ige is meeting with various airlines and travel agencies before attending an evening reception. Gov. 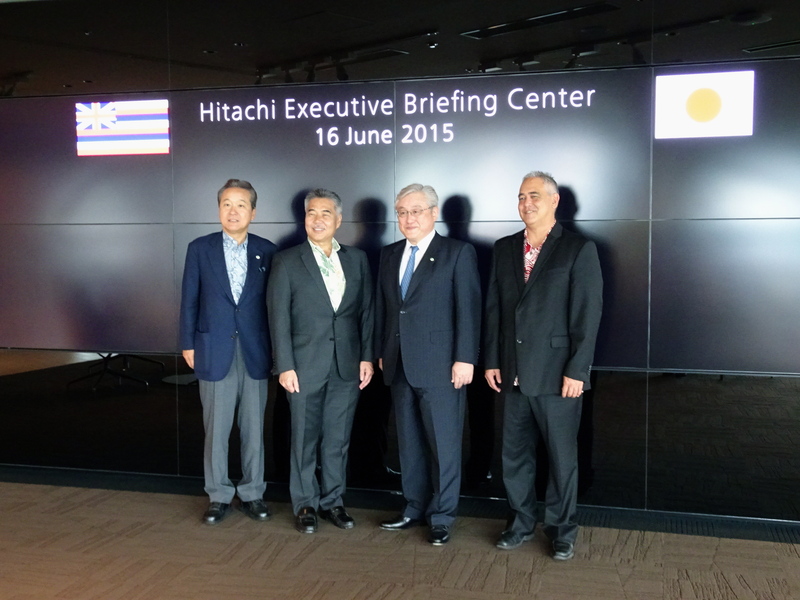 Ige is in Japan in an effort to boost business and economic development in Hawai‘i and promote and expand travel to the Hawaiian Islands. Daily photos from Japan will be posted on the Governor’s Facebook page at Facebook.com/governorige. The photos will be one day behind because of the time difference.